Without a doubt, many major enterprises began their fortunes behind a garage door and not in a high-rise skyscraper suite. However, they certainly didn't remain in a garage for long. Many times lacking a formal education, these mom and pop entrepreneurs had one common denominator: they came out of humble beginnings. Moreover, they were imaginative men and women with a yearning for cutting-edge innovation. Below are just some of the big name players in business today that started ground up in their family's or a neighbor's garage. The number one online retailer world-wide today began in a garage as an online bookstore. Beginning in Bellevue, Washington, their first book sold in July 1995. The name of the company, named after a famously large, far-reaching river in South America, today majors in a lot more than books. Electronics, house devices, furniture, computers and online video downloads for entertainment are just some of the products sold from their flagship mega-website. Amazon.Com now has a net worth of $35.6 billion. This famous computer/software company originally founded in 1974 behind a garage door in Cupertino, California, sold its first 50 units at $500.00 each. Its starting CEO and co-partner developed what today is the most respected and valuable tech company in the world. This famous fruit-based trademarked company named Apple today has a net worth of $108 billion as of 2011; its former CEO, Steve Jobs, had a net worth of $11 billion at the time of his death. Probably the only company on the planet founded by a little mouse in a one-car garage, this highest-grossing media conglomerate of all times today stands as a testimony of creativity. Beginning with simple animation; later expanding into full-length motion pictures; television; world-wide theme parks; and even cruise ship lines, the little mouse today sits on top of the world. The Disney company's net worth today approximates $106 billion. The list is so impressive and long, that several other one garage door start-ups had to be left from our list; however, here are a few more that weren't. A search engine company named Google became the site with the most web traffic in the world; its net worth is estimated at $200 billion. Harley-Davidson motor cycles and this well-known name are one and the same in the eyes of consumers; however, this company did start in a family backyard shed and not a garage in the year 1901. Its net worth is estimated presently at $500 million. The world's largest toy manufacturer, Mattel, likewise began in a family garage and is today worth an estimated $2.2 billion. A simple scented, candle-making enterprise name Yankee Candles began in a one-car garage and is today worth about $1.6 billion. Indeed, these great companies did begin in a family garage; however, they had some capital venture to start with no matter how small the initial project. They also had local, state and national laws that encouraged start-ups and a political/economic system that encouraged free enterprise and expansion. Foremost, they just thought "different" as the popular slogan of one mega-company states. They all became global enterprises, but they weren't barred by the constraints of orthodox thinking. These companies started with a one product focus, but they continued to expand and diversify into something bigger. Whether behind a garage door, in a shed or on a kitchen table, innovation fired their imaginations and still fires the public's image of their success. 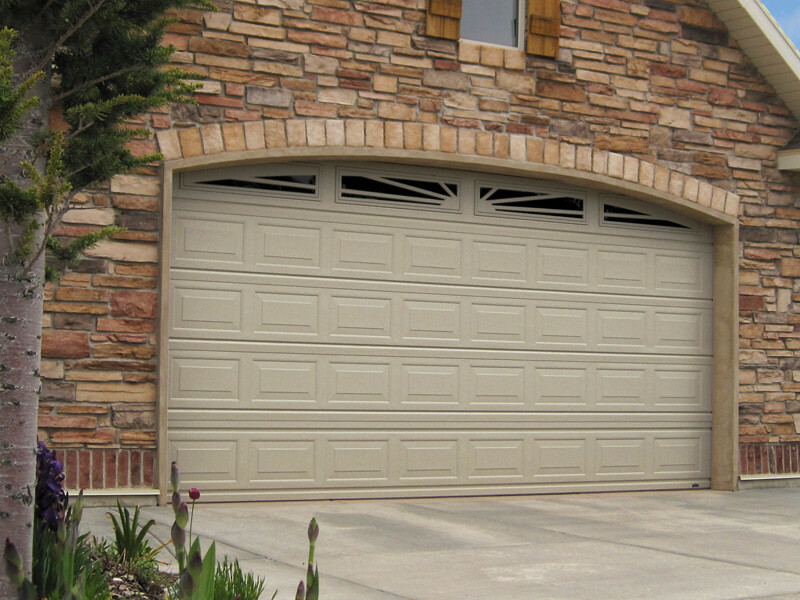 Cowart Door is a leading garage door installation and replacement company in Austin, Texas. Keep up to date with them by liking them at their Facebook page!